We are Cistercians of the Strict Observance, a Roman Catholic order of monks founded by Saints Robert, Alberic and Stephen Harding in the year AD 1098. Today, we are commonly known as "Trappists." With the ancient Rule of Saint Benedict as our guide, we offer hospitality to guests, serve in mutual charity, and live out our contemplative witness of silence, stillness and solitude in our often frenetic and busy world today. The Rule of St. Benedict lays out a pattern of prayer interspersed throughout the day and seeks to guide monks along the "straight and narrow path" that leads to the love of Christ. The Eucharistic celebration is the spritual center of our life, from which the hours of the Divine Office radiate and return. Starting with Vigils at 3:30 a.m. the monks rise early and gather in the abbey church seven times following the words in the psalm of David who says, "Seven times a day I praise you for your righteous laws." This rhythm of prayer allows us to step into "kairos," the moment in which God chooses to act and reminds us that we are all held in God's time. In darkness and silence, the brothers rise at 3:15 a.m. to "Keep watch," as the Lord commands in the gospel. Our prayer is that all may be brought into the light of Christ's never ending day. From the Latin "laudate" which is a call to praise, Lauds is chanted at the break of day. We celebrate the gift of light returning to dispel the darkness of the previous night. The early dawn is like the gaze of Christ looking upon each soul for whom he died and now raises to new life. Each day, the monastic community gathers to celebrate Eucharist which is the source and summit of every Christian life. As Cistercian monks, we follow the customs of the Cistercian Order in the celebration of the Holy Mass. The stark, simplicity and beauty of the Mass reflects the beauty of Christ who offered himself for the entire world and upon whom our entire monastic and contemplative life is centered. The third hour or "Terce" allows the monk to pause in the middle of the morning to call to mind the descent of God's Holy Spirit. It is the fullness of the Spirit that allows the monk to carry on the work of the day. This is the monk's witness even in the "hidden" life of the cloister for he is ignited by the flames of God's charity burning in his heart. "None" in Latin refers to the "ninth hour," which would typically be around mid-afternoon. The monastic community gathers together once again to recall the hour that Jesus died upon the cross and for the grace that was bestowed on the world by his self-giving. As the day's light begins to shift and the shadows lengthen, so we, too, start to experience a decline as the sun descends. We recall that God's Son descends into the darkness at the moment of his death but we keep that unwavering faith in his resurrection. In the hymn at Vespers or evening prayer, we invoke God with the title "Lucis Creator optime," which allows us to acknowledge the creation of light. Even as the sun descends and darkness once again envelopes the earth, the monks are reminded that the entire foundation of our world had been made in beauty and harmony. It is a beautiful reminder of that pre-existing Light in which we hope will one day we all be caught up. From the Latin "completorium," the prayers of Compline signify the completion of the day and the petition for God's protection for the onset of night. It is a prayer for peace and a time of blessing. Cistercian monks and nuns throughout the centuries sing the "Salve Regina" or "Hail, Holy Queen," a final hymn to the Blessed Virgin Mary. A replica of the miraculous statue of Our Lady of Einsiedeln adorns the east end of our abbey church. We invoke Mary as an image of the Church wholly given to Christ. The Cistercian way of life is strongly cenobitic, which means that each monk's individual search for God always occurs within the monastic community. The monks of New Clairvaux Abbey is an international community with diverse backgrounds and talents. 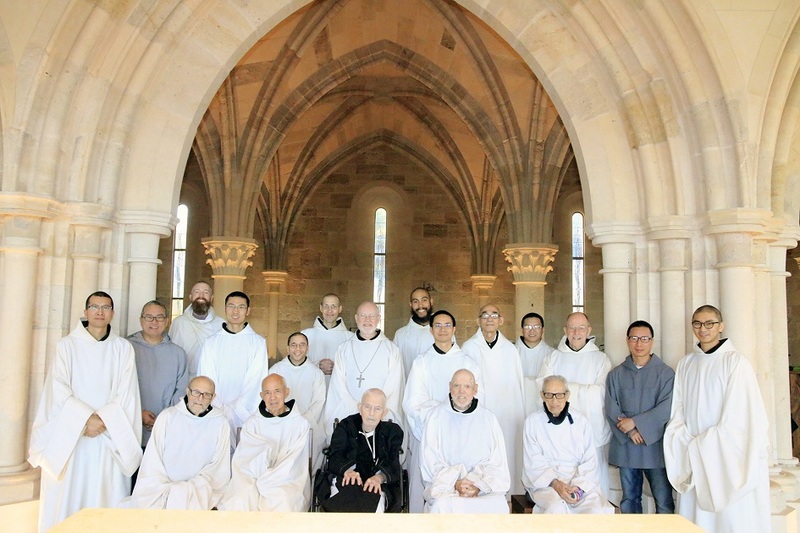 All these brothers have been drawn to the contemplative life of a Cistercian community. Asked why the Cistercians lived in community, Blessed Isaac of Stella, monk and abbot in the 12th-century, replied: "Because we are not yet ready for solitude; and because if one of us falls he will have others to lift him up and thus, brother aiding brother, will be built up on high like a strong, fortitfied city; finally, because it is good and pleasant for brothers to dwell together in unity." Recognizing its power to purify our hearts of the effects of sin, Cistercians embrace manual labor as an integral part of each day. Engaged in various and often very ordinary tasks that support the common life of the monastery, we are mindful of being in solidarity with countless men and women all over the world who must do physical work to earn a living. Most importantly, we celebrate and enjoy manual labor as a means by which the Lord carries on His work of creation in the work of our hands. 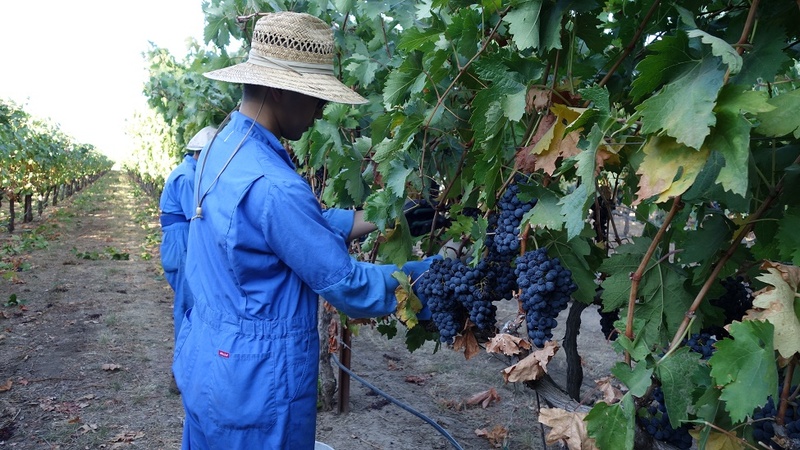 As one of the few remaining monasteries in the U.S. whose economy depends entirely on sustainable agriculture, the monks of New Clairvaux Abbey are intimately connected to the earth through our walnut and prune orchards and vineyards. This connection to nature roots the monk in God's love on whom all of life ultimately depends. In his role as Christ's representative in the monastery, the Abbot delivers his teaching to the monks through weekly Chapter Talks. These conferences are given in the Chapter Room where monks traditionally gathered to listen to a reading from a chapter of the Rule of Saint Benedict. We've uploaded the Abbot's talks here so that you too may find a source of inspiration to live out your faith journey.